We won't start your project until we understand how you want it to end; it's the Michels difference. We have the experience, people, and equipment necessary to complete the most challenging projects. We have a commitment to understanding your goals and tailoring solutions that exceed them. We provide a safe, comprehensive approach and a wide range of resources, including in-house fabrication shops to build custom solutions and equipment to meet your projects' demands. 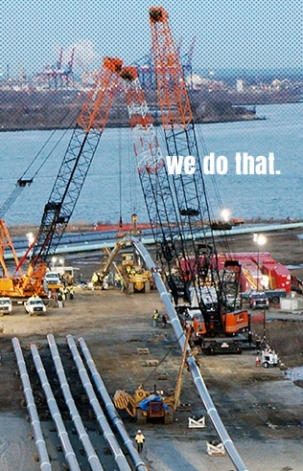 Michels is an industry-leading utility contractor offering Pipeline Construction, Horizontal Directional Drilling, Transmission, Substation and Distribution Construction, Cured-in-Place Pipe, Direct Pipe, Fiber Optic Networks, Rail Plowing, Heavy Civil Work, Foundations, Tunneling, Paving, Dewatering, Custom Crushing and Road Building. When you partner with Michels as your contractor, you get a shared vision of how to safely and successfully execute your project. We share your vision by turning ideas into reality. Learn more about our company and values. We offer flexible positions including full and part-time, internship, CO-OP, seasonal, union and non-union, just to name a few. We'd like to share our culture, history, projects, and fun times with you, maybe a little bit longer.